In spite of looking for your favorite song in the movie everywhere, you can extract background music from DVD directly. Generally speaking, you need to rip audio tracks from a DVD and save as MP3, AAC, WAV, FLAC and other formats. Different portable players require different audio formats. Thus, a good DVD audio ripper really matters. Here you can get one-stop solution to rip, edit and convert DVD with easy steps. Just read and check. 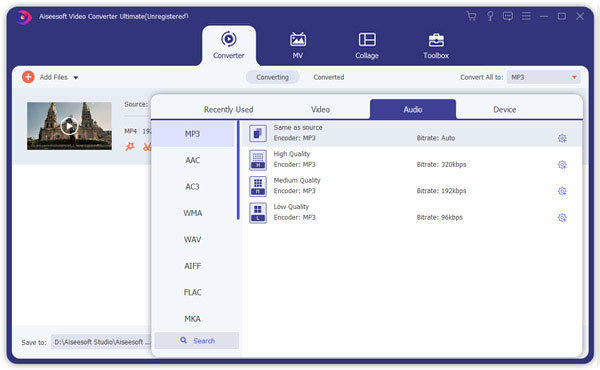 By using Aiseesoft Video Converter Ultimate, you can save time and money on ripping audio from DVD in bulk. The DVD ripping software allows users to extract audio tracks from a DVD to any audio format without quality loss. Thus, you can extract your favorite background music or conversation as iPhone ringtone, notification tone and more. 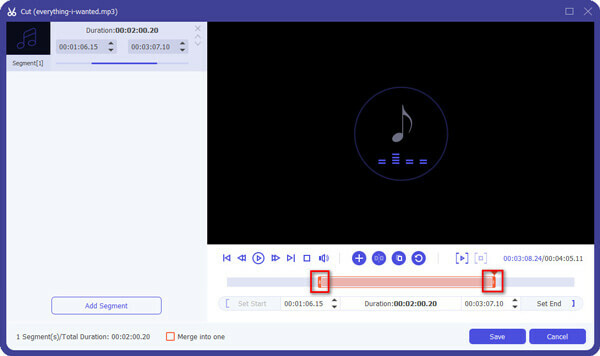 Moreover, you can use the built-in audio cutter to trim audio file with the start time and end time accurately. Video Converter Ultimate is not only your DVD audio ripper but also DVD audio editor. You can rip DVD to any playable offline song without extra tools. Rip audio from DVD to AAC, AC3, AIFF, AMR, AU, FLAC, M4A, MKA, MP2, MP3, OGG, WAV and WMA. Clip any audio file with a real-time preview window. Extract DVD to digital files for popular devices, such as iPhone/iPad/iPod, Android and more. Adjust output settings to meet your usage habits perfectly. Offer a safe, clean and user-friendly interface. The DVD audio ripper is compatible with Windows 10/8.1/8/7/Vista/XP and Mac OS X 10.7 or above (macOS High Sierra and macOS Mojave included). Insert the DVD disc to the DVD drive. Free download, install and run DVD audio ripper on your computer. Click “Load Disc” on the top right corner of the window. Select “Load DVD Disc” to load all DVD videos. Unfold the “Profile” list near the bottom of the DVD audio extractor software. You can get various preset profiles, like “General Audio”, “Lossless Audio”, “Apple iPhone”, “Apple iPad”, “Apple iPod” and more. Select the specific audio format from any category based on your need. In addition, you can choose “Settings” to adjust audio encoder, sample rate, channels, audio bitrate and more. Click “Clip” on the top toolbar. In the popping-up “Clip” window, you can fill into the start time and end time blanks. Well, you can also trim the audio clip with the DVD audio clipper’s slider directly. If you want to merge several audio clips together, you can mark before “Merge into one file” on the lower left corner. Later, click “OK” to exit the window. You can choose “Browse” next to “Destination” to change the output folder if necessary. At last, click “Convert” to rip DVD to MP3 and other audio files in a short time. It is also supported to convert DVD to different audio formats at the same time. If you do not have much requirements towards DVD ripping, you can try the following free DVD audio rippers too. Here are main features you can get from each DVD audio ripper free for Windows or Mac. You can read and make the decision whether the DVD audio ripper is worth using. If your Windows laptop has a DVD drive, you can rip audio from DVD with Windows Media Player. 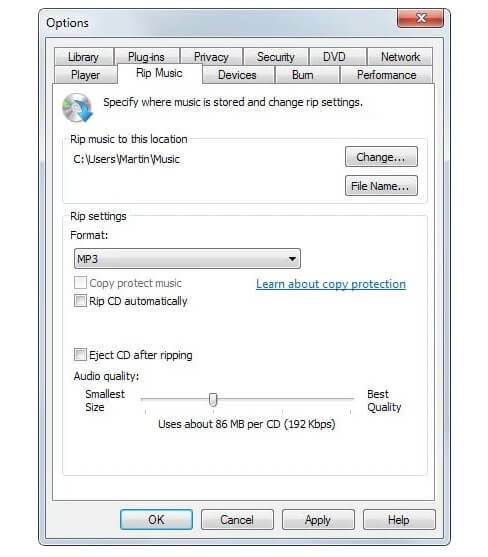 The Windows DVD audio ripper allows users to rip DVD to audio with song title, genre, track number, artist, album and bitrate included. In addition, you can set audio quality with a movable slider. However, there are no extra audio editing and preferences you can manage. VLC Media Player is a free and open source DVD audio ripper for Windows, Mac, Linux, Android and other platforms. 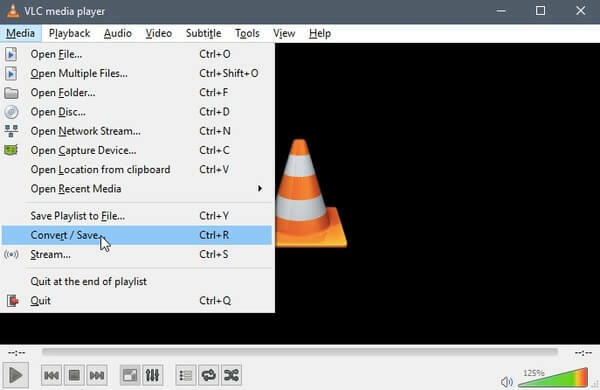 You can rip MP3 audio from DVD with VLC Media Player for free. Sadly, many people complain that the ripped audio files are often choppy and distorted. If you want to get high-quality audio tracks from DVD, VLC Media Player may not be your idea DVD audio converter. HandBrake is also a popular DVD audio extractor with audio editing tools. You can extract audio tracks from DVD for free on multiplatform. Sadly, HandBrake is not an approachable DVD ripper. The confusing interface has been complained by various users. 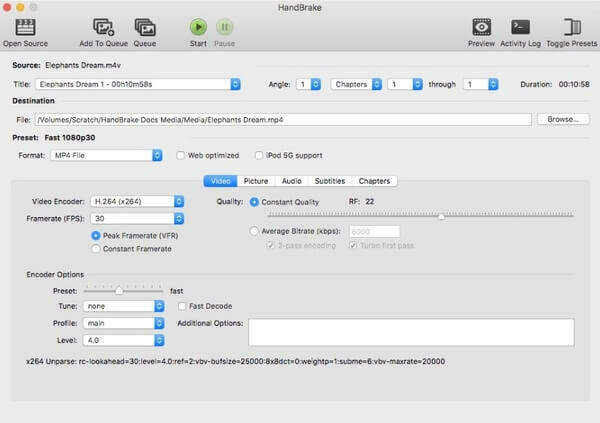 If you are new to HandBrake for Mac, Windows or Linux, you may get lost with this tool. The common shortage of above three DVD audio ripper freeware is DVD ripping time. It is quite annoying to rip DVD to MP3 audio files for several hours. Compared with other tools, Video Converter Ultimate should be your best DVD audio ripper. You can convert DVD audio to MP3 and other formats quickly and easily. The excellent DVD ripping performance and easy-to-use tools are friendly to both beginners and experts. You can free download the DVD audio ripper and have a try right now! To edit homemade DVD in iMovie simply, first you should convert homemade DVD to iMovie formats including MOV, M4V, etc. Try this best DVD to iMovie Converter.